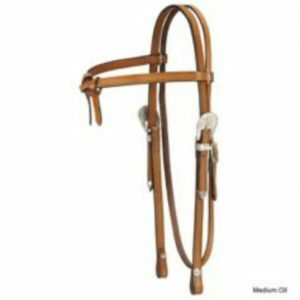 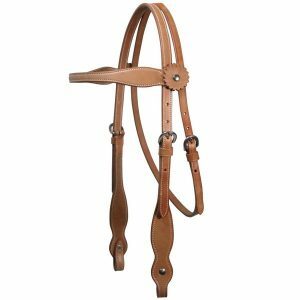 Formay Western Nylon Browband 5/8” headstall is doubled and stitched and features a single cheek adjustment with black felt lining on both the browband and crown. 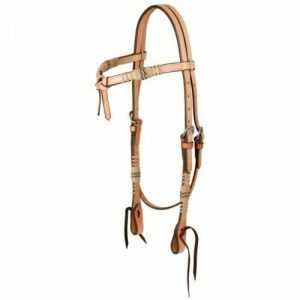 Tough-1 Premium Cowhide Futurity Headstall Features Natural Rawhide Design with Black Accents. 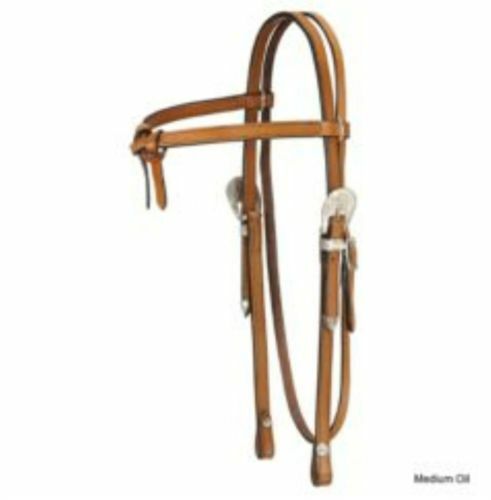 Light Oil Tie Bit Ends.